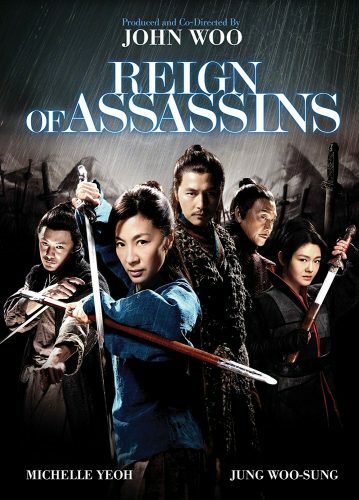 Reign of Assassins is a Swordplay Wuxia Film with John Woo’s Named Attacked to it and also Staring as are lead the talented Michelle Yeoh. A Young Women who belongs to the the Dark Stone Assassin Gang finds her self not wanting to live the life she is living after slaughtering a family. She runs off after surgically making her self look older and with half of a mummified corps that contains power if both pieces were to meet. The story is good but does have some holes and could be due to some cuts being left out. Sometimes its confusing but overall its great. Action wise it was fun sword play with Wuxia but not an insane amount of the wire fu where it makes it look too fake. Acting was good and my main lady did a great job. The acting can be brutal at times like at the beginning with a child being killed off by are lead.